Java is the center of Indonesian culture. Three out of every four Indonesians live on Java. It is the home of some of the most elegant musical styles to be found anywhere. To the veteran international sound collector, Javanese music is no secret. For the uninitiated, rather than going through an introductory outline of Javanese music history, I will wish you away to the internet, a library, or bookstore where you can find plenty of information on the subject. The selections on this CD are a combination of random radio excerpts sequenced in collage form and assembled in the summer of 1989. This disc is a highly unique document featuring many angles of Javanese sound finally slipping through the cracks. 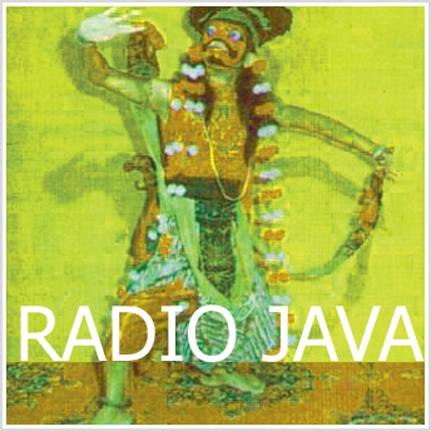 Among many other oddities, you'll hear several examples of Javanese pop (from Dangdut and Keroncong to Hard Rock and Disco), news snippets, folk music, radio commercials, Jakarta DJ's, The west Java Sundanese sound, spooky theatre extracts, and high-octane Jaipongan variations that are completely over the top. There has never been anything like this!